Â Â Â Â Â Â Â Â Â Â Â After all these years, hereâ€™s the answer youâ€™ve been looking for. 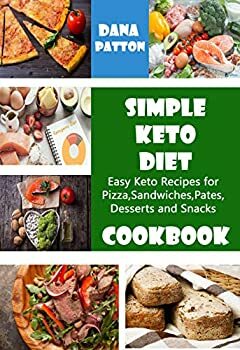 This book is filled with easy to prepare and delicious keto diet recipes. Â Â Â Â Â Â Â Â Â Â Â But the most important thing is that this book will allow you not to give up your favorite pizza or burgers and you switch to the keto diet easily.